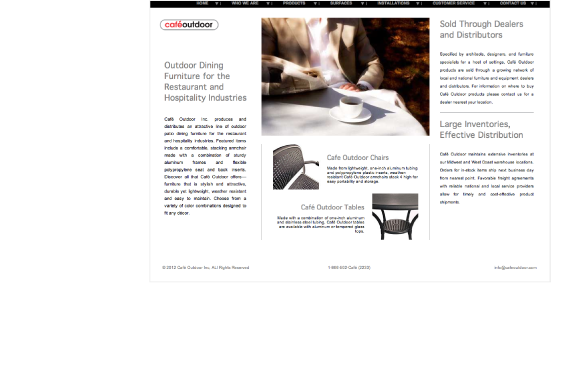 To position Cafe Outdoor as a leader in the design, manufacturing and distributing of premium outdoor dining furniture for the restaurant and hospitality industries. Coupled with traditional media and search-engine optimization, efforts to substantially increase sales and build consumer recognition beat forecasts. 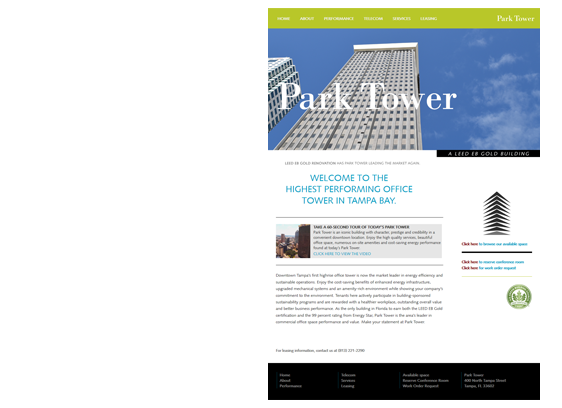 Sterling American Property Management Co.
To position the iconic Park Tower office tower, located in downtown Tampa, as the market leader in amenities, energy efficiency and sustainable operations. Website was launched to excellent reviews from leaseholders, prospects and the community. 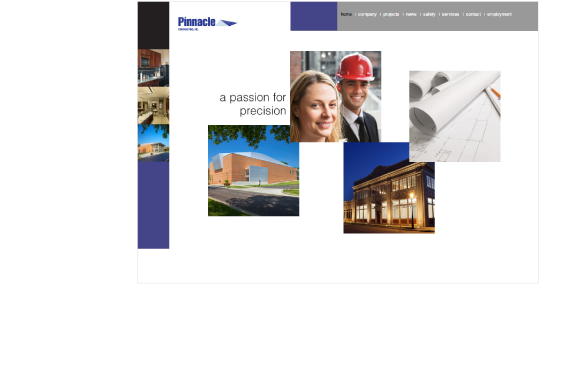 To position Pinnacle Contracting as a premier full-service general contracting and construction management firm in the St. Louis region. In concert with traditional media and search-engine optimization, efforts substantially increased consumer recognition and prospecting. 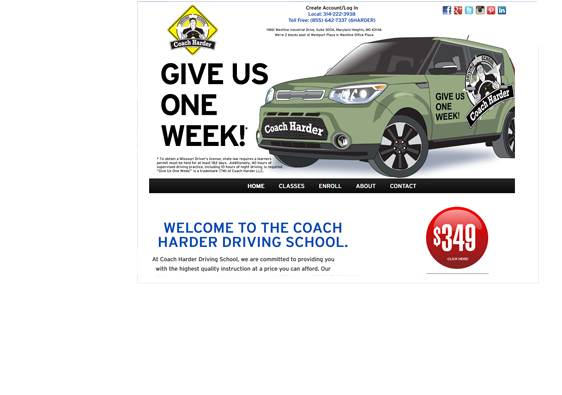 To launch Coach Harder Driving School as the first choice for driver’s education in the St. Louis region, committed to producing confident, safe drivers at affordable prices. Working with social and traditional media, launch efforts have increased awareness and sales, exceeding client objectives by 250 percent. 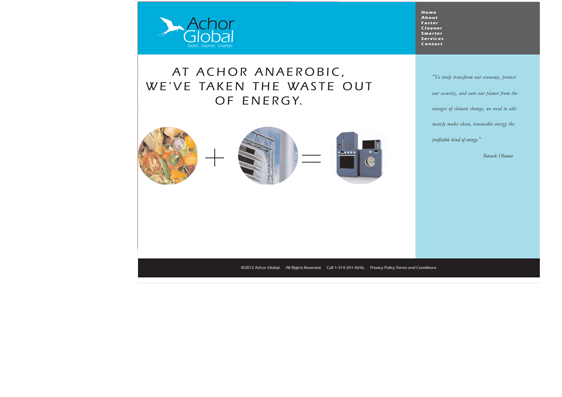 To position Achor Global as an emerging leader in advanced anaerobic digestion, the treatment and disposal process for organic waste. Sales at Achor Global have increased dramatically since the launch of its website and online promotional efforts. 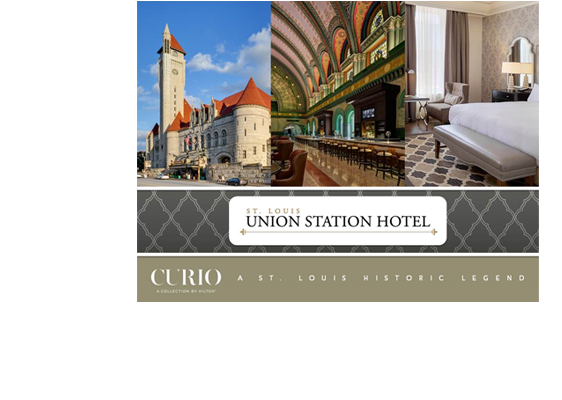 To introduce Curio by Hilton as the anchor hotel at the legendary Saint Louis Union Station. 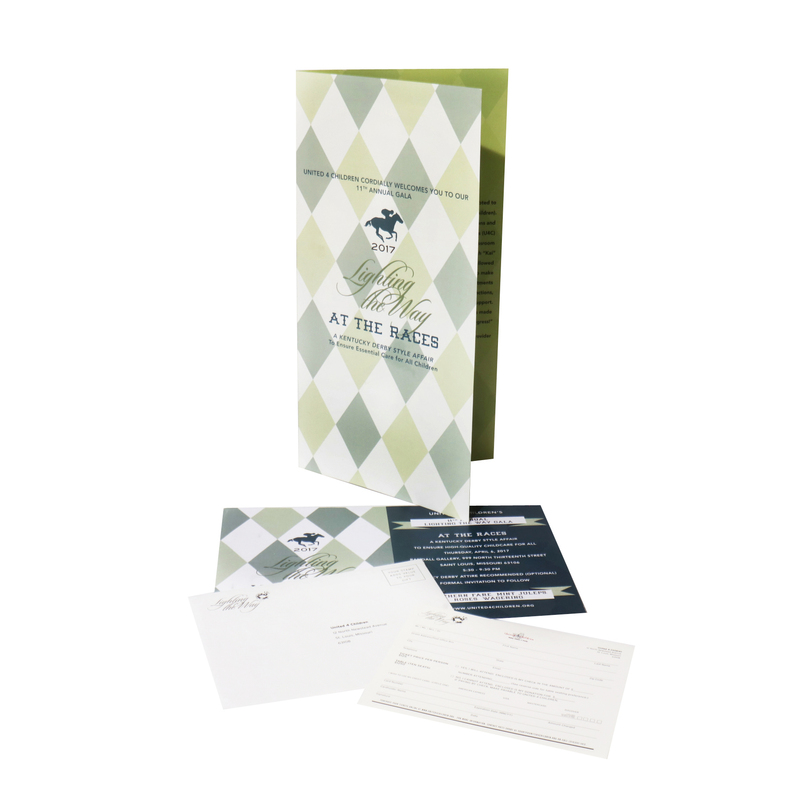 Presentation is targeted to prospective clients, consumers, and the corporate community. The objective is to continue to celebrate the art and influence of Tennessee Williams, as well as enrich the cultural life of the Greater St. Louis region by producing and promoting an annual theater festival to honor his importance in the literary world. 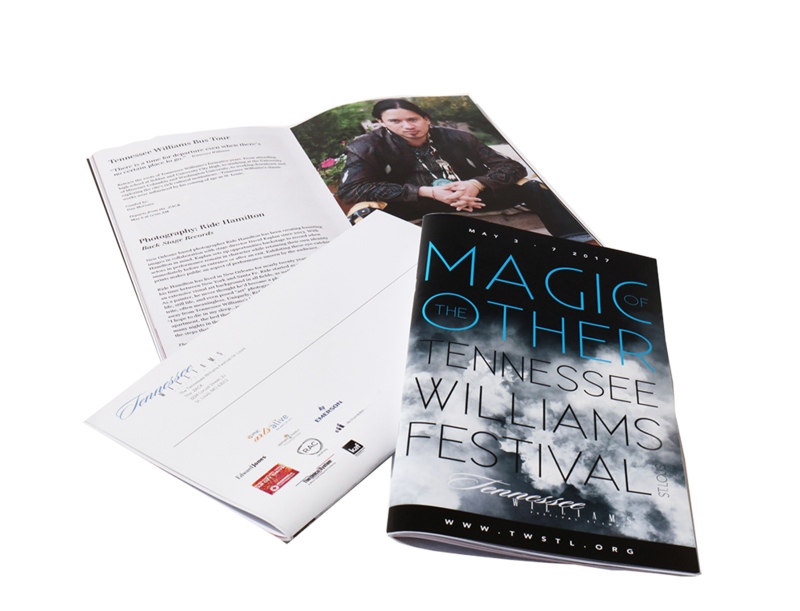 Event literature and campaign enabled client to exceed ticket sales objectives and establish this second Tennessee Williams annual festival in the Greater St. Louis region. 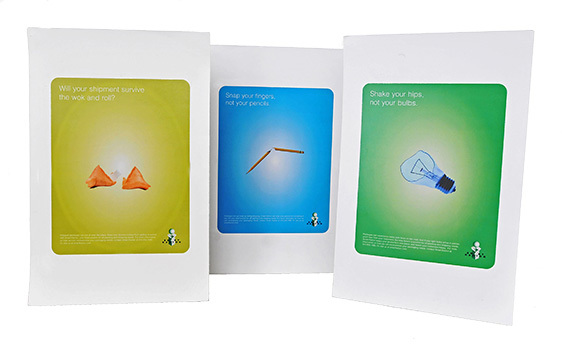 Substantially increased consumer recognition through targeted print media vehicles. The St. Louis International Film Festival is an annual event which has been in existence since 1992. 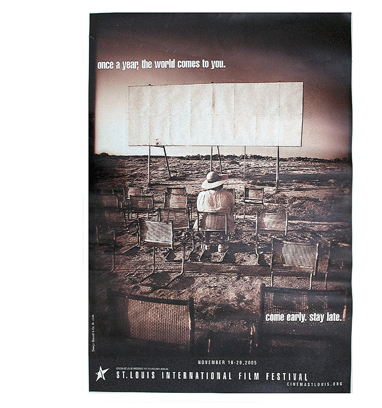 Targeted to the festival’s subscriber base and movie-goers, the primary objective of this campaign was to promote the festival’s nearly 400 films over a period of 10 days. The concept of behind the campaign illustrates the zen-like, consciousness-raising potential of attending the festival’s numerous offerings. Sales of the 2005 St. Louis International Film Festival exceeded projections making the festival one of the most successful in the history of Cinema St. Louis. 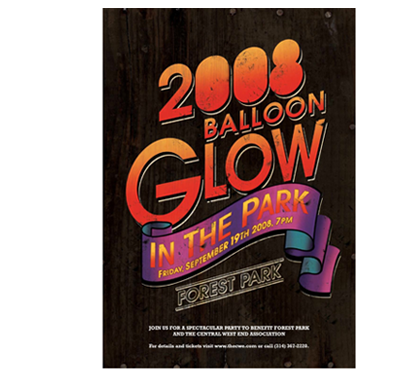 To promote the 2008 Forest Park Balloon Glow, which offered patrons a breathtaking view of inflated and illuminated balloons poised to take flight the following day. This special evening affair included a cocktail reception, dinner, and the opportunity to get up close to the balloons. As a result of multi-channel media efforts, this annual event was a sell out. chapter of the Alliance on Mental Illness. unprecedented community awareness for the organization. To position Country Club of Saint Albans as one of the finest country clubs and golfing courses in the Saint Louis region. 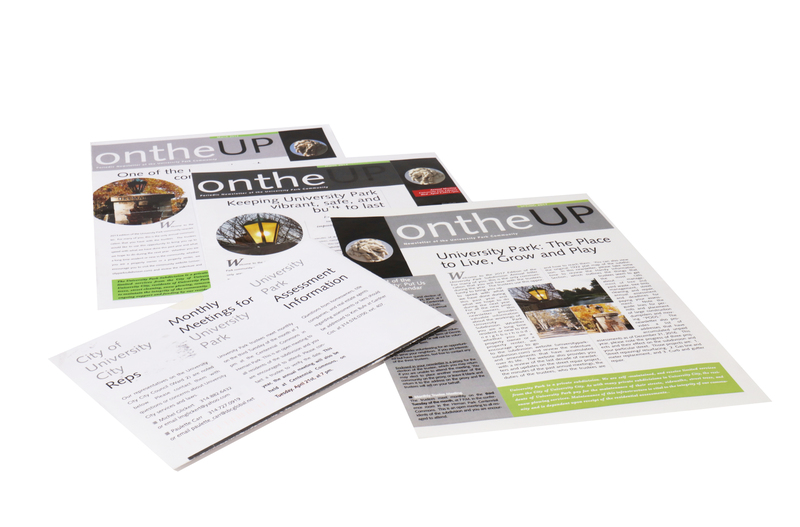 This ongoing multi-page publication is designed to provide valuable information about the activities and projects of the University Park Community. Annual fund-raiser designed to improve quality and accessibility to services for children by engaging families, professionals and the community. Once again, this sold-out affair event raised a record amount of funds to improve access to safe, quality programs for underprivileged children of St. Louis families. 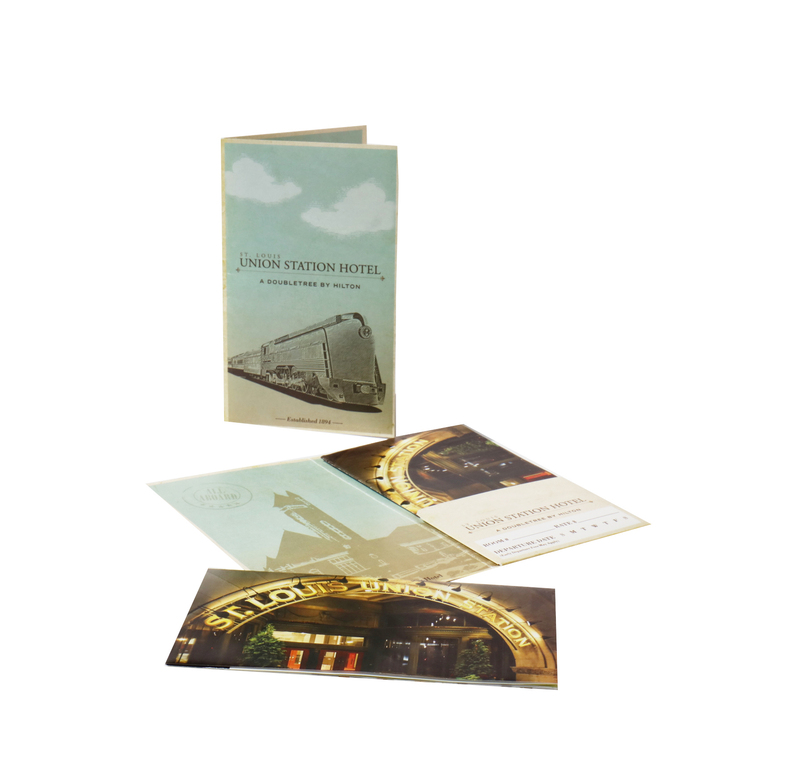 To provide guests and visitors with a guide of the hotel, arcade, and grounds. 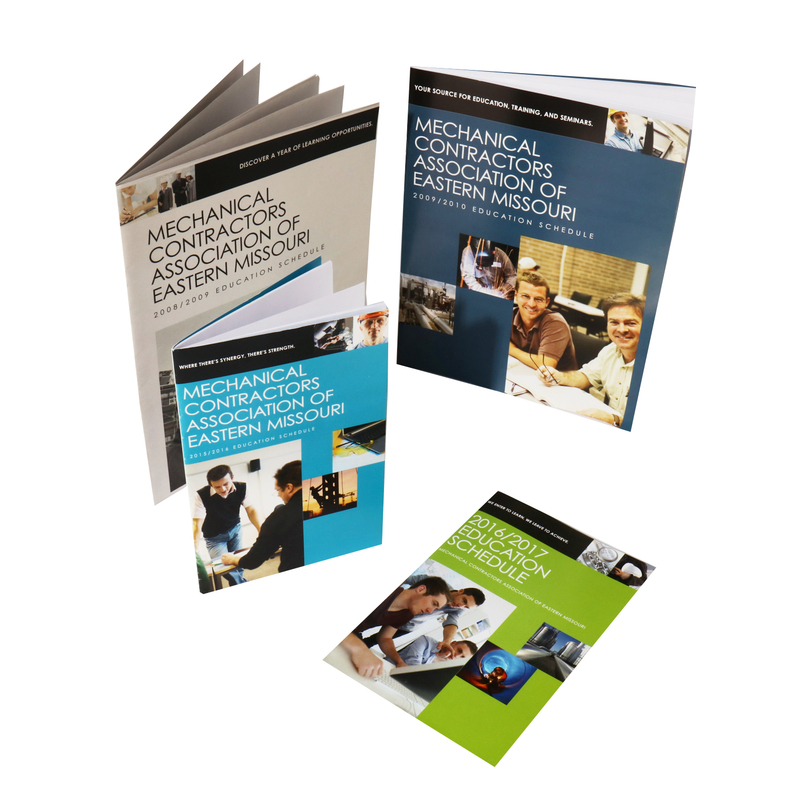 This publication of the MCA Training Center is designed to present courses that professionals and technicians can take in the traditional classroom or via webinars. These in-demand, cutting-edge courses are well-received by members and participants. 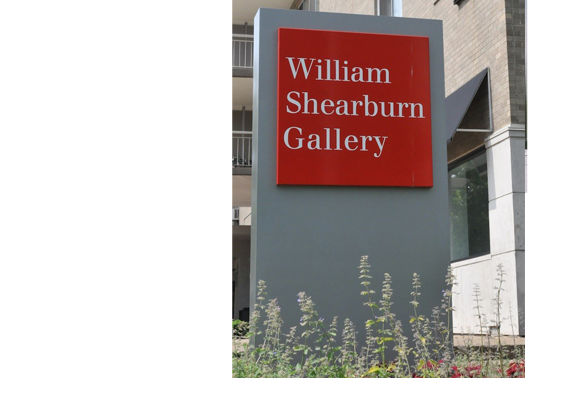 To identify William Shearburn Gallery as a contemporary gallery showing established and emerging artists of national and international stature. Re-branding of well-known gallery helped to affirm its prominence in greater Saint Louis and national art markets. Position firm as a leading insurance benefits provider in the metropolitan St. Louis region. 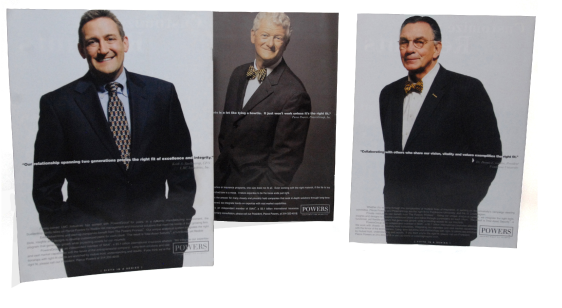 Award winning advertising campaign enhanced market share for Powers Group and substantially increased consumer recognition of brand through regionalized targeted print media vehicles. Position Smart Karton as a leading innovator and supplier of container solutions designed to facilitate safe shipping. 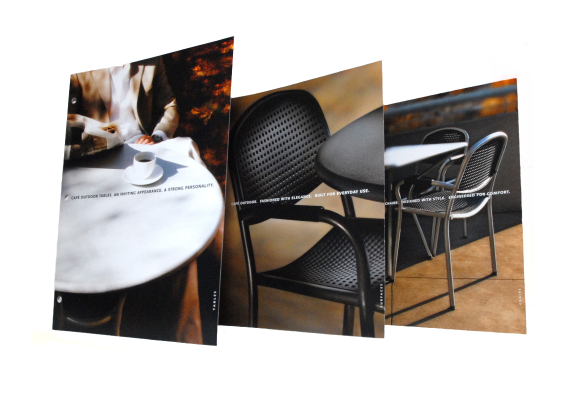 Business to business advertising campaign developed to enhance market share for Smart Karton and increase recognition of brand through targeted print media vehicles. Promote this annual community festival to the St Louis metropolitan region through the use of old-style paintings and the realism of an outstretched arm entering from side of paintings plucking a piece of fruit from the bowl, basket, or still life. A surrealistic experience. 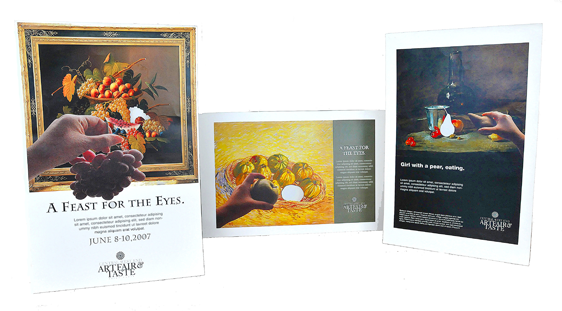 Speculative print advertising campaign intended to increase traffic and recognition of this unique art and culinary experience. 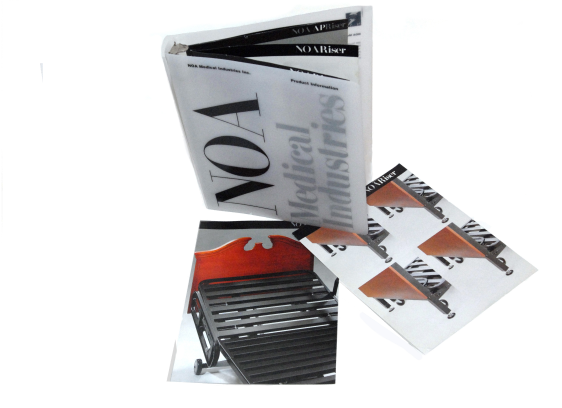 Position NOA Medical as a preeminent innovator and manufacturer of medical beds, nursing home beds, manual patient beds, and skilled nursing beds. 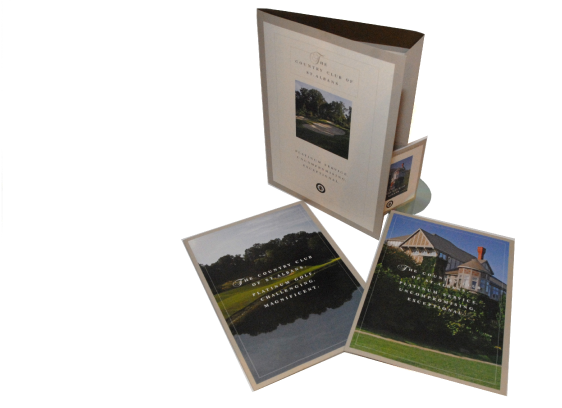 Product literature and campaign enabled client to annually exceed sales goals. Helped build the NOA Medical brand overall. 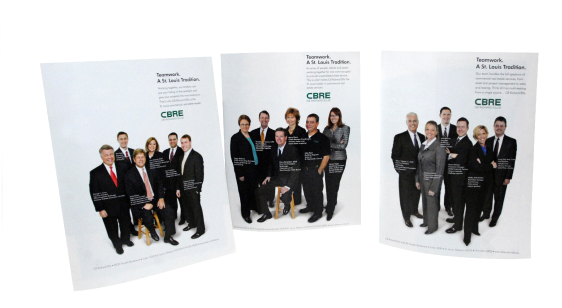 Substantially increased market recognition through targeted print media vehicles. Position Central West End loft rehab project as the ideal solution for young professionals in quest of upscale alternative lifestyle options. 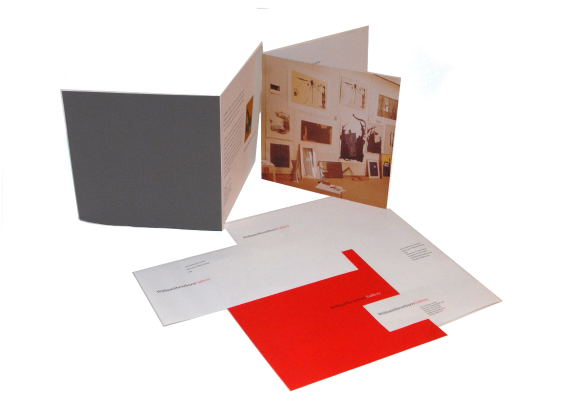 Advertising and promotional push resulted in a sold-out units within six months of campaign launch. This campaign series is designed to contrast mundane, everyday responsibilities to a new world of excitement and discovery that awaits the reader at the Mississippi River Hills. Combined with tongue in cheek humor, each of the ads feature the unique world of discovery that awaits visitors to this special region. 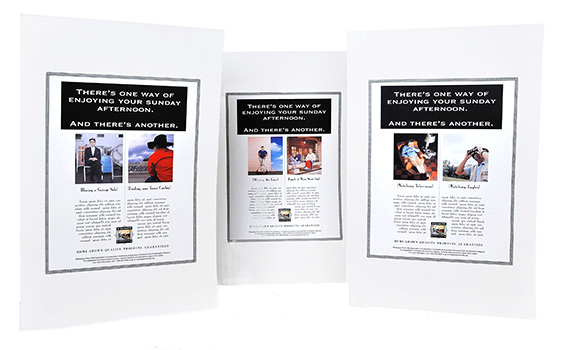 Advertising campaign developed to enhance market share for Mississippi River Hills Association and substantially increase consumer recognition of brand through regionalized targeted print media vehicles. To personalize regional office of well-known international real estate firm as the source for knowledgeable and courteous real estate counsel. 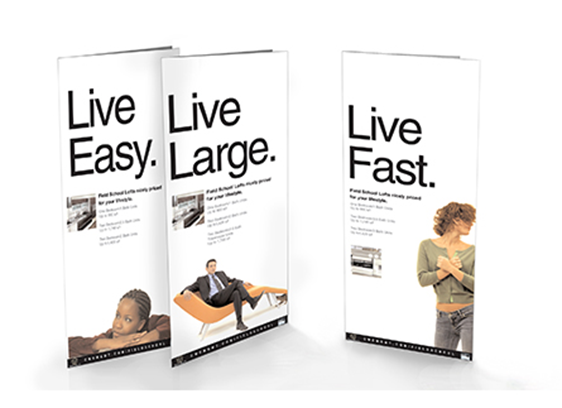 This campaign increased client and consumer recognition over 40 percent through targeted print media vehicles according to market research. 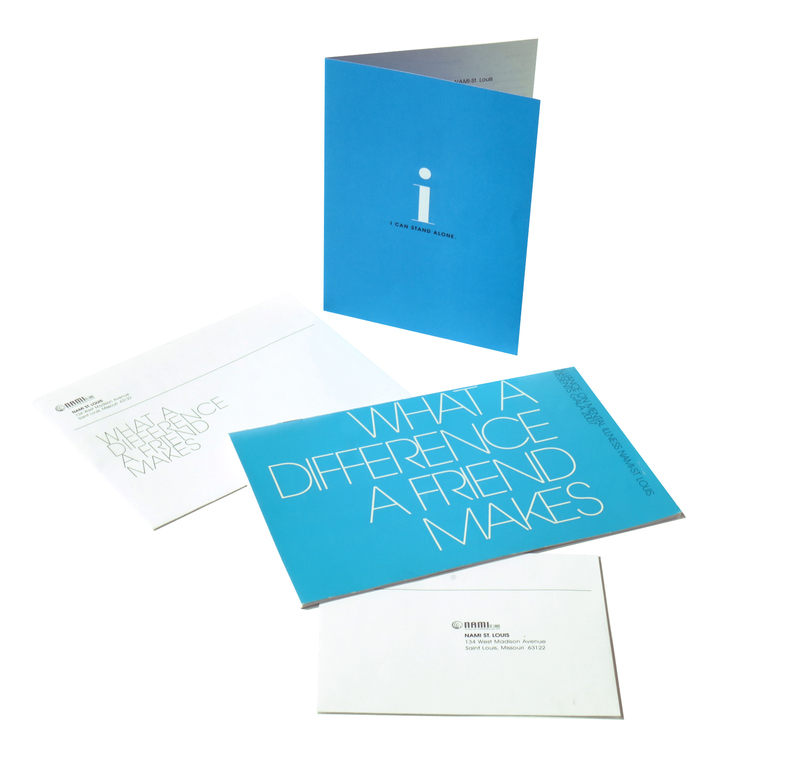 Additionally, the campaign received nationwide acclaim from allied CB Richard Ellis offices. 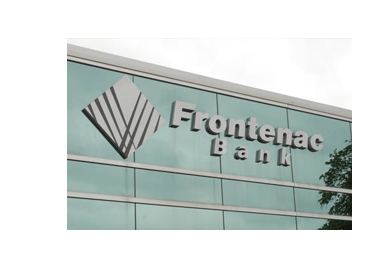 To position Frontenac Bank as a progressive bank in the metropolitan St. Louis region. The corporate logo was designed as a modernist interpretation of the fleur de lis, an icon indigenous to St. Louis history. Trademark helped to distinguish and build consumer recognition of leading regional bank. Additional branded components from this project available for review. To identify the location of the William Shearburn Gallery. Signage and trademark helped to build enhanced visibility of this well-known contemporary gallery. 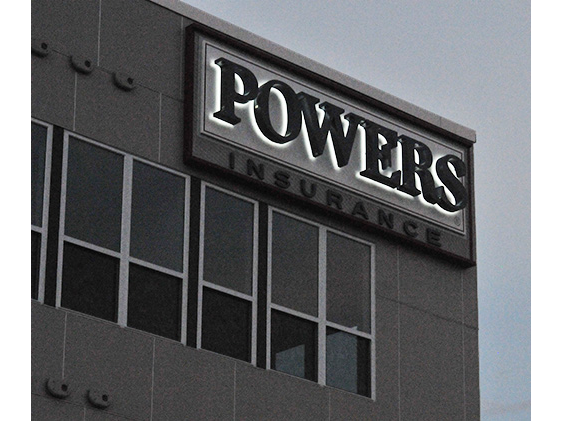 To identify the location of the corporate offices of Powers Insurance. Logo signage helped to build enhanced visibility of this well-known insurance company. 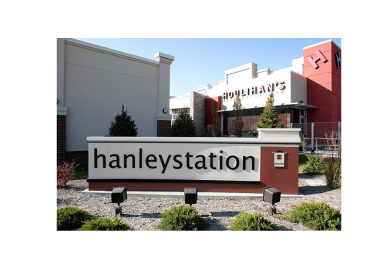 To identify Hanley Station as a community development, offering residents, retail and hotel patrons a true taste of new urbanism. Signage and trademark helped to enhance consumer recognition of high-profile and upscale community development.